The East Branch of Rhine-Rhône Line links Dijon to Mulhouse by a 350 km/h (217 mph) high speed line. 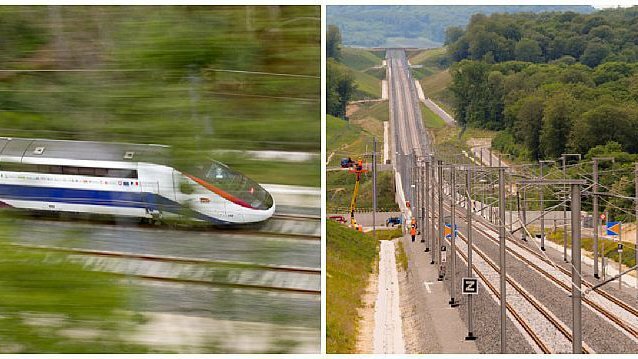 This 189km project was divided into 3 sections (A: 70km in length, B: 57km in length, C: 62km in length). – The Saone Viaduct with curved outlines, measuring 380 m in length, a 12.6 m wide deck, and concrete piers, varying in height between 5 and 14 m.
- dealing with the necessary modifications and adaptations of the construction site.